The Global Leader in Noni Research – Morinda Inc.
Morinda owns and operates the only noni-dedicated laboratory worldwide, led by internationally renowned scientists. Scientists and researchers tested Tahitian Noni® Original Bioactive Beverage on the human body in real-world conditions with human clinical trials. In fact, presently Morinda has 14 completed human clinical trials on noni and Tahitian Noni® Original Beverage. The health benefits of Tahitian Noni Juice have been proven in multiple scientific studies. It supports the immune system, sustains joint health, fights harmful free radicals, and boosts energy and endurance. Containing more than 150 nutrients, it is the perfect antidote to today’s stressful life. Tahitian Noni® Original is impossible to duplicate. Our process — which includes harvesting techniques, quality assurance that begins in the field, extraction and stabilisation procedures, custom equipment and packaging techniques — is proprietary and absolutely exclusive. Made from morinda citrifolia pure noni fruit purée from French Polynesia. Bioactives are compounds which have a beneficial nutritional value or a positive physiological effect on the body. lifestyle while facing the challenges of modern life. This is evidenced by an ever-growing body of research. 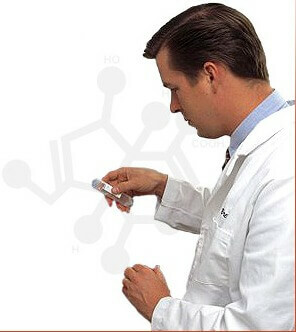 Independent scientists around the world have confirmed that a substantial number of bioactives provide proven health benefits. Tahitian Noni® Original is a source of naturally occurring manganese. More than ever, it is essential today to choose food containing essential compounds that support our body, so that we can maintain our physical well-being, even when we are faced with the multiple challenges of everyday life. • Helps to protect cells from oxidative damage. • Contributes to the maintenance of normal bones. • Contributes to a normal energy-yielding metabolism. Manganese has been studied for years and given its wellness-enhancing properties, has proven a highly useful and essential element of our diet. Manganese has also been shown to retain its potency in the course of the proprietary production process. Also, storage of the finished product does not affect the beneficial properties of manganese. 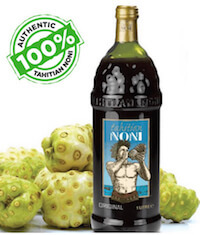 Tahitian Noni® Original Bioactive Beverage is an ideal source of naturally occurring manganese. This is why Tahitian Noni® Original supports your overall well-being. Drink 60 ml a day and feel the difference! Eating a varied and balanced diet as well as maintaining an active lifestyle is vital to your health and well-being. Iridoids are powerful phytonutrients produced by plants as a self-defence mechanism. While iridoids are found in a large percentage of functional plants, they are not common in ordinary plants and fruits. Iridoids are very stable, and resistant to degradation during processing and storage – which means they retain their potency. 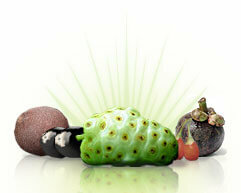 They are essential substances in the noni fruit, and are markers of quality. Iridoids are nature’s best kept secret. We recommend them for everyone, everywhere, every day! Tahitian Noni® is a Trademark of Morinda Inc.
© Morinda, Inc. Used with permission. All rights reserved.